The Challenge of Climate Change: Which Way Now? Global warming and climate change present complex interlocking issues of public policy, multilateral negotiation, and technological advancement. This book explores both the problems and the opportunities presented by international agreements, and examines the technological developments and policy goals that can be pursued to effect the changes necessary. Specific steps are proposed in the form of a list of priorities. This book represents a cooperative enterprise between two authors of different backgrounds - engineering and international relations - and is directed to an educated but non-professional lay audience without any formal training in either science or international relations. The points of view of negotiators from both developed and developing nations are presented and compared. 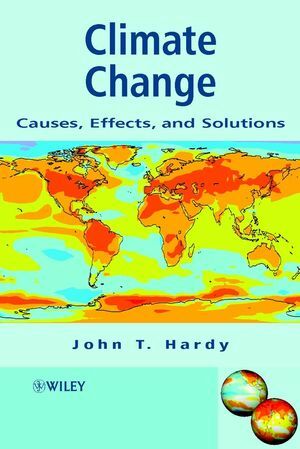 Each topic is presented from both technical and policy perspectives as a means to evaluate the variety of proposals that have been offered as remedies to global warming. The text is supported by illustrations and tables where appropriate, including a list of References at the end of each chapter. 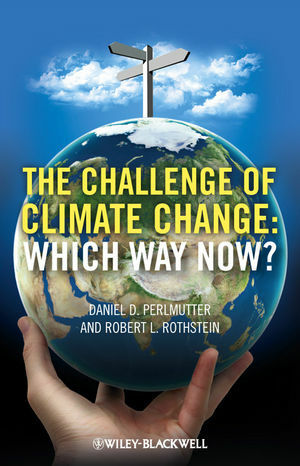 This item: The Challenge of Climate Change: Which Way Now? DANIEL D. PERLMUTTER is Professor of Chemical Engineering at the University of Pennsylvania, and has served as Chair of the Chemical Engineering Department at the University and as University Ombudsman. His contributions were recognized by a Lindbach Award for excellence in teaching, a Guggenheim Foundation Award for research, two Fulbright Fellowships, and the Lectureship Award of the American Association for Engineering Education. His research focused on the dynamics and control of chemical reaction systems, yielded three books and many publications in professional journals. ROBERT L. ROTHSTEIN was the Harvey Picker Distinguished Professor of International Relations at Colgate University. He has published widely on the international negotiating process and peace processes in protracted conflicts and has been awarded a variety of prestigious fellowships, including the Rockefeller Foundation, the Carnegie Foundation, the Woodrow Wilson International Center for Scholars, and the U.S. Institute of Peace. He has also been a consultant to the Department of State and a number of foundations and international institutions. 1.2 What is Your Problem? 1.3 The Challenges We Face. 2 A View of Geopolitics. 2.1 Are There Limits to Growth? 2.2 Public Goods and Public “Bads”. 3.1 A History of Change. 3.3 Supply: Where Do We Get It? 3.4 Demand: How Do We Use It? 3.5 Will We Run Out of Oil? Or Gas? 4.1 Temperature of the Planet. 4.3 Is Global Warming Our Fault? 4.6 Immediate or Short-Term Remedies. 4.7 Limits to Growth and the Commons Revisited. 5.4 Power from Tides and Waves. 5.5 Direct Use of Solar Energy. 5.8 Indirect Emissions and Hidden Costs. 6.1 Batteries and Fuel Cells. 6.2 Syngas and Liquid Fuels. 6.4 Pumped Water or Compressed Air. 6.5 Hot Water or Molten Salt. 7.1 A Period of Transition. 7.3 Guidance from a Theory of Bargaining. 7.4 Useful Lessons from the Past. 7.5 What Should a Treaty Accomplish? 7.6 Where We are Heading. 8 From Theory to Practice. 8.1 Different Regimes and Perspectives. 8.3 The Debate on Venues. 8.4 Bargaining Strategies: Domestic and International. 8.5 Big Bang or Accelerated Incrementalism? 8.6 Choices in the Context of Risk. 9 Where Do We Go from Here? 9.1 Is the Feasible Insufficient? 10 A List of Priorities. 10.1 Short-Term Gains: Less than 10 Years. 10.2 Medium-Term Improvements: 10–20 Years. 10.3 Long-Term Solutions: More than 20 Years. 10.4 Plan A and Plan B, Simultaneously. 11.1 Costly Failure or Small Success? 11.3 The Good News and the Bad News.